My favorite thing from my trip to Sweden last year was the incredible tradition of Fika. Fika is like a coffee break but is focused on slowing down rather than speeding up. It’s about taking a moment to enjoy the company of a friend, a cup of coffee, and (most importantly) a sweet treat. My favorite pastry was the kardemummabullar (in English, cardamom bun). Unlike a traditional cinnamon roll, which is rolled and sliced and looks like a snail’s shell, the cardamom buns are cut in strips and wrapped into something resembling a ball of yarn. This formation disperses the cardamom filling generously throughout the bun. My aim in creating this cardamom bread was to make something like the cardamom bun, but in a loaf, so it could be easily served in slices. It also seemed easier than forming all those yarn balls. This recipe can be made as a cinnamon bread instead of cardamom: just sub out the cardamom for cinnamon in the dough, filling, and topping, swap the granulated sugar for light brown sugar in the filling, and omit the orange zest. Add the warmed milk to the bowl of a stand mixer fitted with the whisk attachment. Add the yeast and whisk just to break up the yeast a little. Let the mixture stand for about five minutes until the yeast starts to activate (it will look a little foamy). Add the egg and whisk to incorporate. Switch the whisk attachment for the dough hook. Add the flour, sugar, cardamom, and salt and mix on medium until the dough starts to form. Add the butter a few pieces at a time and turn the mixer up to high. Let the mixer knead the dough for about 8 minutes. The dough will be smooth and all pull away from the sides of the bowl. Scrape the dough off the hook, cover the bowl, and let it sit at room temperature for two hours to rise. Make the filling by mixing butter, sugar, cardamom, and zest in a bowl until the mixture is the consistency of cake frosting. It should be soft and easily spreadable. Leave it at room temperature. Roll out the dough into a rectangle, about 9 x 16. Spread the filling on the dough in an even layer. Fold it in fourths — think of folding a letter, but with one more fold. It should be about the size of the loaf pan. The dough is really soft and stretchy, so work quickly to avoid stretching it out too much. Cut the folded dough into thirds length-wise. Braid the strips, tuck the ends under, and plop it into a pan. Sprinkle the dough with with the cardamom-sugar mix. Bake at 350° F for 45-55 minutes. Test with an instant-read thermometer; the internal temperature should be around 200° F. Let it cool before turning it out of the pan. Five-Points Artisan Bakeshop (Point Breeze) – What I love about Five-Points is how friendly-neighborhood it feels. Most people walk up and and are greeted by name. The multigrain sourdough has a wonderfully moist crumb. The bakery’s focus on quality shows in the product. La Gourmandine (Lawrenceville & Hazelwood) – Run by a French couple, La Gourmandie is très authentique. They sell the best baguette in the city by far, with a crust that is crunchy but not break-your-teeth crunchy. The pain au chocolat (actually all the pastries) are absolutely perfect. Allegro Hearth (Squirrel Hill) – Allegro offers inspired flavored breads (blueberry corn! Walnut raisin!) and tons of vegan options. They also sell pies, quick breads, and desserts. I was delighted by their selection of cheese. We picked up the Levain and a bag of challah rolls that were perfectly soft and buttery. Right now, everything I’m buying is to make life easier and add pops of color. As always, I’m trying to find new ways to stay organized and keep things simple. I want to pick up this bronzerfrom Milk because I don’t need a brush to apply it. I’m hoping this AirPod case will make them easier to find in my backpack. As a devoted Ikea patron, I can’t believe it took me so long to get a Poäng chair. I didn’t think it would be as comfortable as it is, but I’m basically falling asleep in it right now. The cantilevered chair has been in production for over 40 years, and now I see why. I also love this set of drawersI am using to organize my art supplies. Terracotta has been catching my eye lately, like this Baggu tote, which can fold up and be easily packed. This Margaret Howell scarf is also a good touch of color. I want a pair of these blue light filtering glasses. I realize I spend a lot of time looking at screens and should probably try and do something to keep my eyes safer. It is such a gift that during the greyest, coldest, dullest days of the year the best citrus fruit is available. I’ve been eating oranges almost every day. One of my favorite ways to eat oranges is in a citrus salad. This is a re-creation of a dish I had a The Four Horsemen, a wine bar in Brooklyn. If it seems weird, just try it. I swear it’s a really delightful snack. Use a serrated knife to cut the pith of the oranges and grapefruit – don’t just peel them. The pith is very bitter so it is worth the effort to cut it off. Slice the fruit to make rounds. Arrange the slices on a plate. 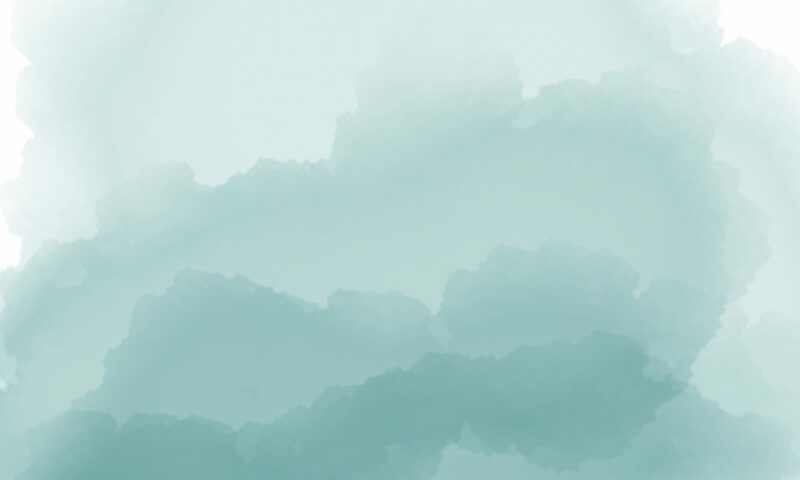 I like to mix up the different colors, but I think it would also be cool to do a gradient. Drizzle the oranges with extra virgin olive oil, sprinkle with flakey sea salt, and a few cracks of fresh pepper. Shave some pecorino Romano cheese over the top. On a recent trip to Ikea I picked up a handful of houseplants. So far my favorite is the sansevieria trifasciata, or Snake Plant. Someone told me that these plants also filter the air, so I might pick up a few more. I do not have a naturally green thumb, so I’m really hoping to keep the plants alive. I also really want one of these French market totes for decoration / storage in my apartment. I love anything that incorporates natural materials. I just don’t know where I’d put it yet. Great design always inspires me. I am curious to check out Cereal Magazine’s guide to Paris because they always have beautiful recommendations. Cereal also has city guides for New York City and London. Another well-designed thing on my list? This smart speaker from Tivoli Audio. I think the walnut finish on the speaker is really nice. After years of being a beauty maximalist, I’ve really focused on pairing down my make up and skin care routine as much as possible. Rosehip oil has become my go to product for my skin. I love that it is so light weight, but keeps my skin hydrated all day. The only color cosmetic I’ve been using is a lip and cheek tint. I recently picked up this one from Tata Harper, but I also love the Stila ones. Single-use plastics are a huge problem causing irreversible damage to our environment. I’ve always made the effort to recycle as much as I can, but I know that just using less period is the best way to cut down on plastic. I keep reusable shopping bags in my purse, in my car, in Rob’s car— I always have them on hand. And if I still forget a bag I just hand carry my items. It can be a tough habit to get into, but now I am really used to it. Reusable bags are also sturdier than their plastic counterpart. It’s much easier to carrying groceries when the bag has a shoulder strap. No more single-use coffee cups. I try to make my coffee at home and bring it in a 12-oz Hydroflask. Honestly I think 12 oz is enough. If I go to a coffee shop and don’t have a reusable cup, I just order for here and savor the drink and the moment I get to myself, instead of just taking the coffee and rushing to the next task in my day. This is a no-brainer, right? I have a few reusable water bottles and I always keep them filled up and in the fridge. I always take water with me so I’m never tempted to buy single use plastic bottles. If i do need to buy a water on the go I’ll buy a Pellegrino in glass, and then reuse the glass bottle for regular water. I just reuse old jars and fill up at the co-op. It’s honestly way cheaper, too. I like customizing the sizes of container I use for each spice so I can buy a large quantity of what I use frequently and just a small bit of something I might only need for one recipe. Any good glass container with a nice lid I will save and reuse. I have a whole arsenal of old Bonne Maman jars that I use for packing lunches, storing spices, etc. I try to pack my lunches from home with as little to no waste. I bring my own utensils, a cloth napkin, and pack my food in reusable containers. I refuse plastic utensils and straws as often as I can. In addition to buying in bulk and decanting my spice cabinet, I also do this for cleaning supplies and personal care products. I also try to opt for things packaged without plastic. I opt for wooden cleaning tools and toothbrushes. Something I’m working on is making more food from scratch and buying less pre-made food and take out. 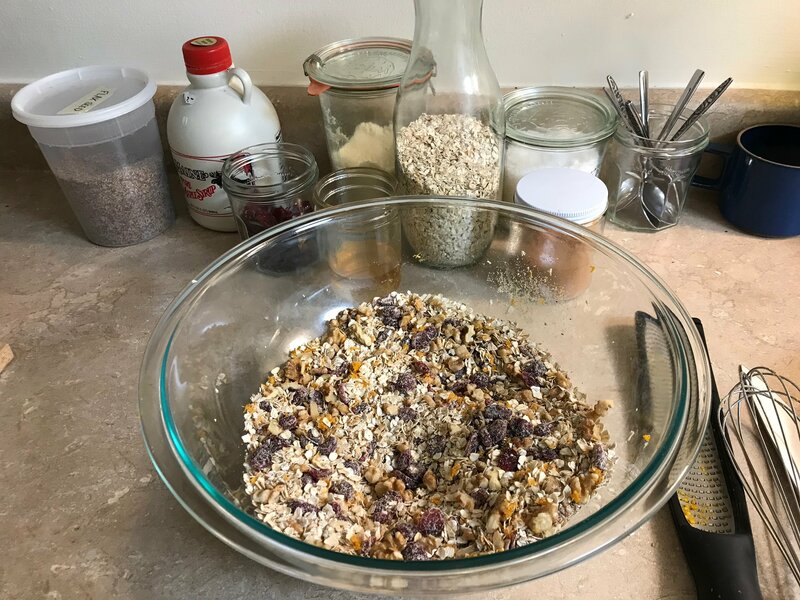 I’m hoping to try and make my own granola bars and yogurt this year. It’s so hard to buy things without any plastic. A t-shirt bought online might be wrapped in a plastic bag, a plastic tag, things in plastic boxes, plastic zip-ties that fix products to a piece of cardboard, plastic used in packaging, shipping, transport before it gets to a consumer, etc. I ask, do I really need this? I’ve been living without it for how long? Can I get by with what I have? I’m not perfect but I do the best I can. Every little bit helps. 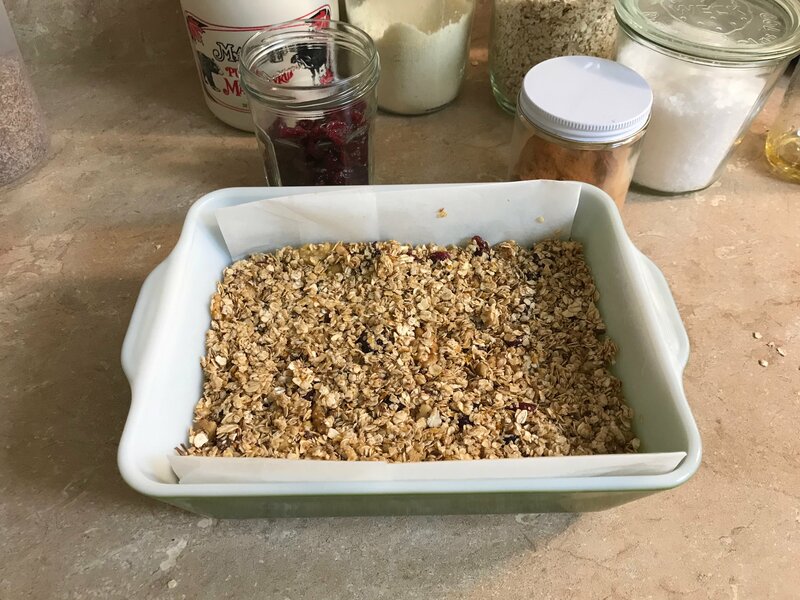 It takes more effort to reuse things and make granola bars from scratch than it does to just buy single-use, but I know it’s worth it for me to try. I have a lot of work to do and still buy and use plastic a lot more than I want to, but I’m not ready to make my own toothpaste and cleaning products. Preheat oven to 350 degrees. Line a 8 x 8” baking dish with parchment and spray with cooking spray. I used a 6.5 X 8.5” pyrex refrigerator dish because that was the closest thing I had, just do your best. Add all the dry ingredients to a large bowl and stir to combine with a wooden spoon. Add the honey and maple syrup and stir until mixture is all coated. Transfer into the prepared baking dish and press firmly into the pan until it is well packed. Bake in 350 degree oven for 30 minutes. Let it rest at room temperature for at least an hour before cutting into bars. If you don’t wait, it will all crumble apart. If it does all crumble apart, don’t worry, now it’s just regular granola, which is pretty great. This recipe can be easily adapted to suit different tastes / to use up what you have in the cabinet. I already had most of the ingredients on hand which is why I went for cranberry-orange. The nuts, dried fruit, and other flavorings are totally flexible. 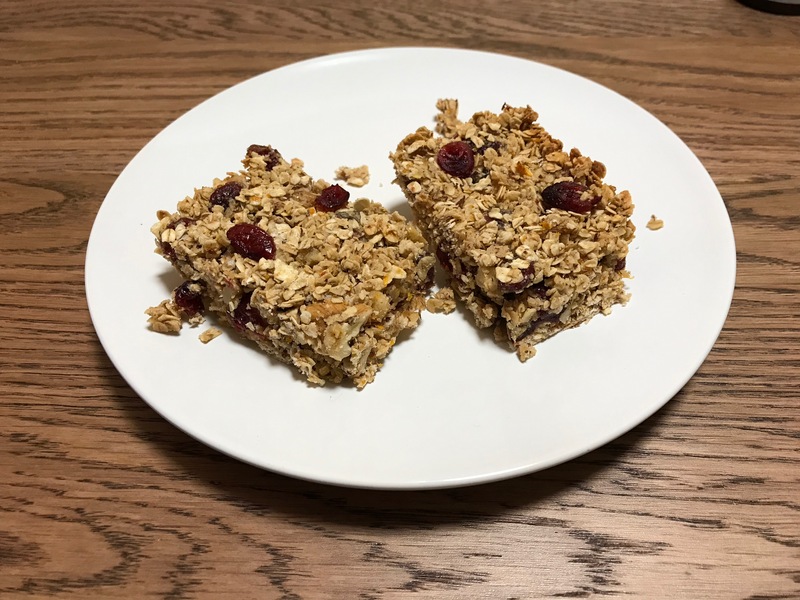 If anyone has any great granola bar tips or recipes please send them my way! Bad Blood: Secrets and Lies in a Silicon Valley Startup – The rise and fall of Stanford drop out Elizabeth Holmes and her start up, Theranos, which promised to revolutionize health with a drop of blood, but couldn’t deliver. American Prison: A Reporter’s Undercover Journey into the Business of Punishment – After his release from imprisonment in Iranian, a Mother Jones reporter takes a job as a prison guard to learn about incarceration in American from the inside. I’m naturally more drawn to non-fiction than fiction, but I’m hoping to read more fiction this year. If anyone has any great novels to recommend, please let me know. After a stressful holiday season, I’m focusing on pouring a glass of wine and relaxing this month with some comforting classics. As I look out the window onto a grey, cloudy, rainy landscape, I would love to be wrapped up in this sweater from Madewell. I ordered a pair of moccasins to pair with it. If I could only wear one shoe for the rest of my life, it would probably be moccasins. My dear friend, Liz, sent me a beautiful candle from her company, Arome Candle. Look for an unboxing video on my Instagram next weekend. I love the scent profiles and designs of the candle. When January arrives, my skin and hair start to dry up. I’m rehydrating this month with Kiehl’s Ultra Moisturizer Cream and Olaplex hair repair treatment. I recently started experimenting with pour-over coffee. I do love my Nespresso and French Press, but I have been curious to try one of these for awhile. I ordered one made by Bee House, a Japanese ceramic company, but I’ve seen these around everywhere. My favorite coffee is this blend from Commonplace, a Pittsburgh coffee company. 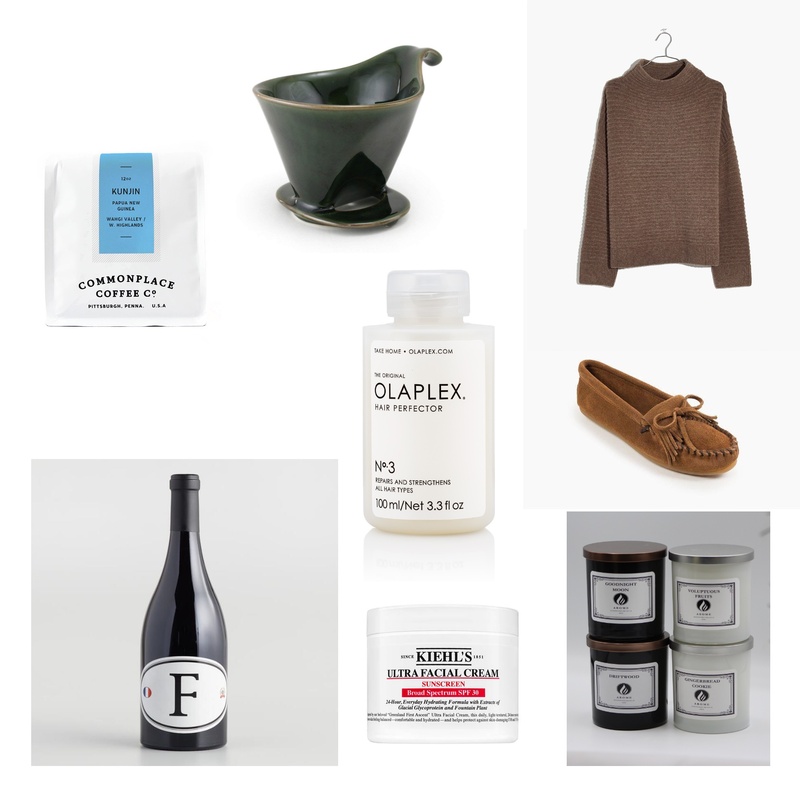 Commonplace Coffee, Ceramic Coffee Pour Over, Madewell Sweater, Moccasins, Olaplex Hair Treatment, Kiehl’s Moisturizer, Location F Wine, Arome Candle. When I’m working early it’s so hard for me to eat before work. I’m definitely one of those people who just isn’t hungry at 6:45 in the morning. However, I know how important it is to start the day with something. My solution has been a basic yet balanced smoothie. Blend it all in a blender! Layer frozen banana pieces and almond milk beneath spinach leaves for best results. There’s nothing like a sunrise walk on the beach.